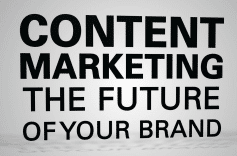 Does your content attract new customers, patients, clients etc to your business? Does your content bring value and even ‘added’ value to your readers. With so much information available your point of differentiation is through how valuable and entertaining your content is. You must be able to attract and hold the attention of your followers through your content, therefore content creation needs a strong strategy and dedication. In order to have a strong personal brand your ability for content creation will make a difference. Click here to read FULL article by Juan Imaz on content creation.